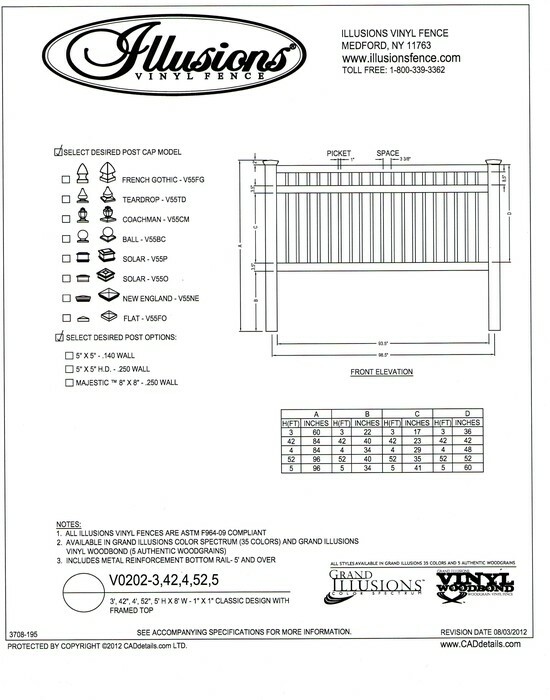 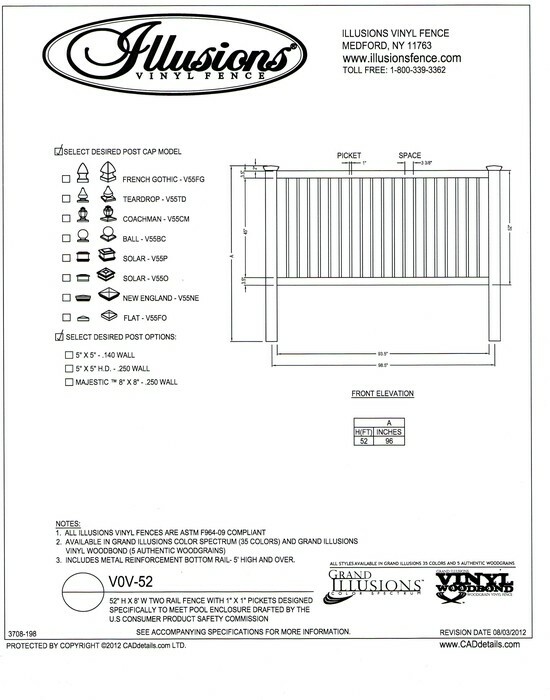 Download a black and white PDF with the Illusions Vinyl Fence Ornamental Picket selection. 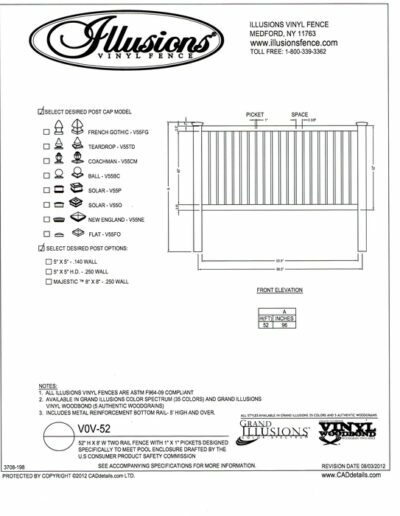 The Illusions Fence Design Center will help you estimate the number and type of posts and the quantity of sections you will need. 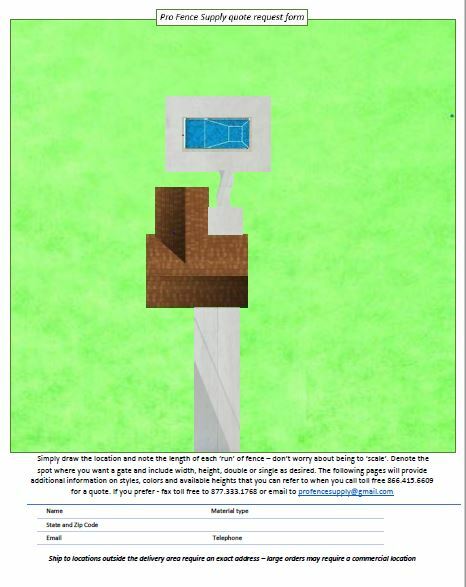 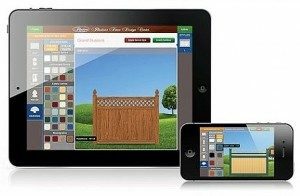 The design center will also allow you to see what your new fence will look like in 3D! Enter the fence design center by clicking on the image to the left.